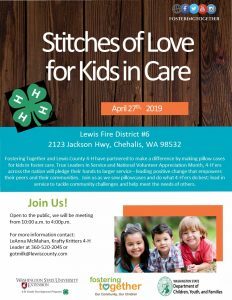 Stitches of Love will be in the 4-H Hall building at the Country Chicks event held at the Southwest Washington Fair Grounds. Stop by to make a pillowcase for a child in foster care. All needed supplies are provided. No previous sewing knowledge required. Open to all ages. More information on Stitches of Love can be found here: https://www.facebook.com/LewisStitchesofLove. 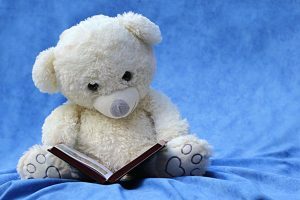 Stories, songs, and activities for preschoolers and their participating caregivers. This is an early learning program. Come make pillow cases for foster children. The event is free, open to the public and supplies are provided. Open to all ages and sewing knowledge.